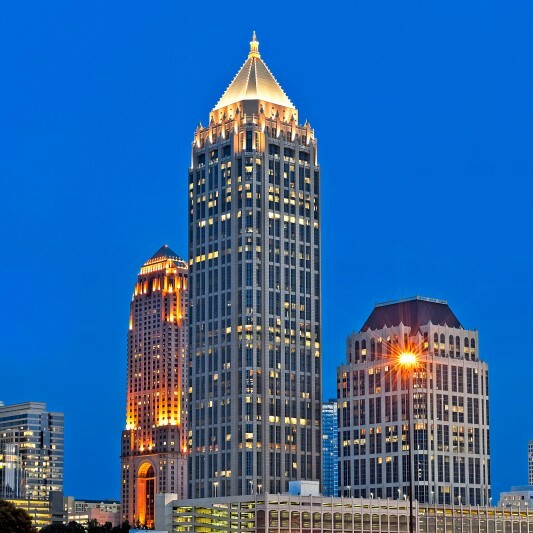 At the time it was completed, Atlantic Center Plaza was the tallest building in Atlanta and it remains a landmark in the city’s recognizable skyline. 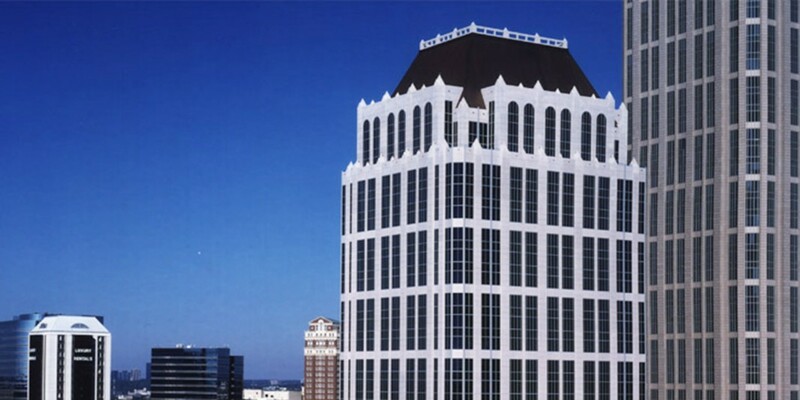 Built by Beck, its 50-story tower is topped by a 100 foot-high copper pyramid roof cap, its most famous feature. Each street entrance into the marble-accented lobbies are marked by 55-foot tall granite archways and granite steps. A 2.5-acre botanical garden park adjoins the building with a fountain at its center that double as a stage, surrounded by granite amphitheater steps. An adjacent 10-level garage accommodates 2400 cars. 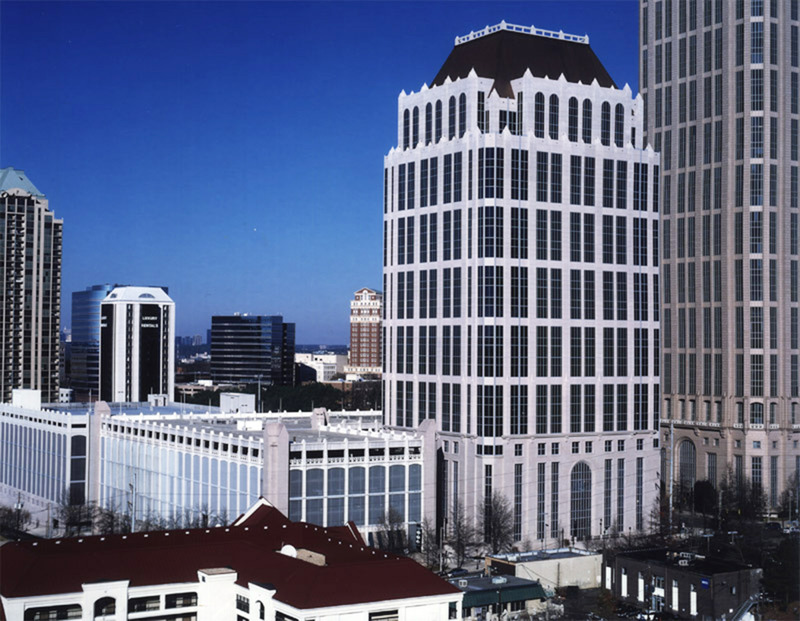 Beck’s construction team returned 13 years later to build the adjacent Regions Plaza. 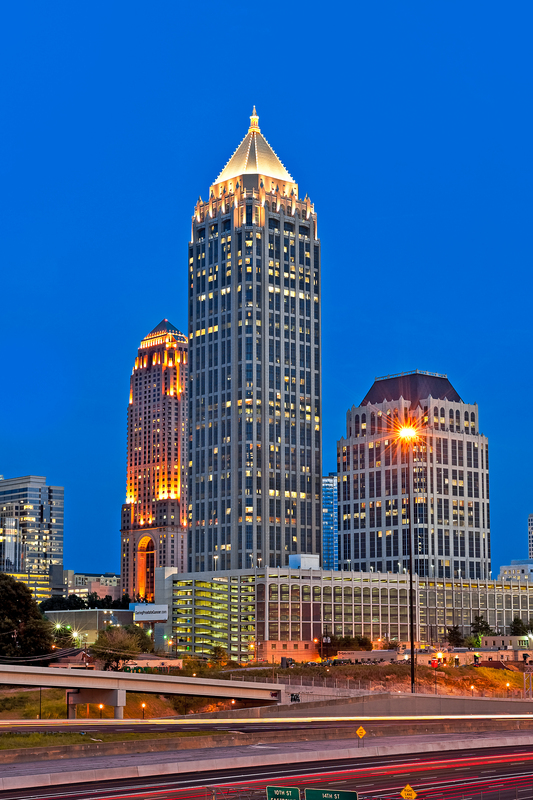 The 24-story class A office tower project includes an 11-story parking deck. Beck’s construction team also completed over 40,000 SF of tenant space within the building. The Regions Plaza project provided the opportunity to develop several solutions to difficult problems inherent in “downtown” construction, along with a condensed schedule. Beck’s construction team was able to deliver the project early, allowing the first tenants to move in a month before the original scheduled completion date.